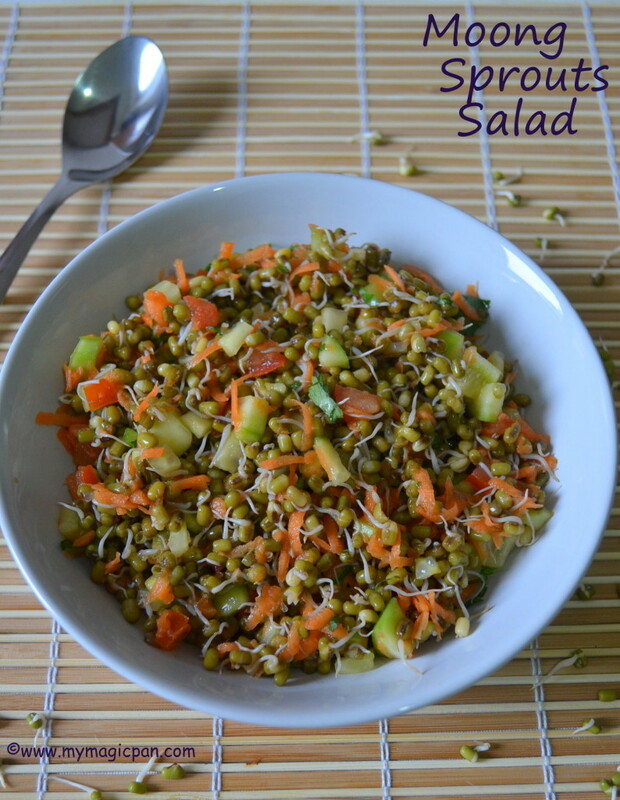 Moong Sprouts Salad is a healthy and quick to make salad. 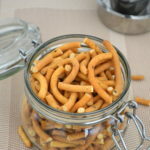 It is a perfect recipe to kick-start your day or as an evening snack. 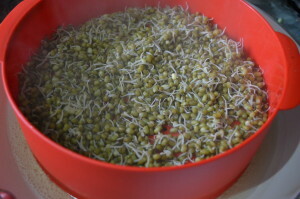 I had posted earlier about making sprouts at home, as u all know homemade is always the best. 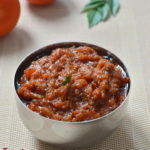 Check HERE for recipe. This is a very easy breakfast alternative for working people and bachelors. 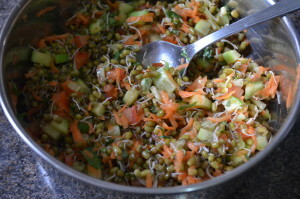 If u have the sprouts in hand, this can be done in minutes. 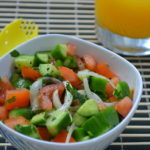 Go ahead and get creative in making this salad according to your taste buds. Chop the cucumber, tomato (de-seeded) finely. Grate the carrot and keep it ready. 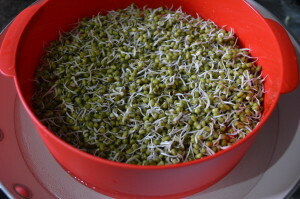 Use a steamer or idli pot and steam the sprouts until cooked soft. I used my Tupperware steamer to cook it. This will hardly take 5 mins. To this add the chopped/grated veggies, coriander leaves, salt & chilli powder. Mix well so that all the ingredients blend well. Serve immediately. Thats it! 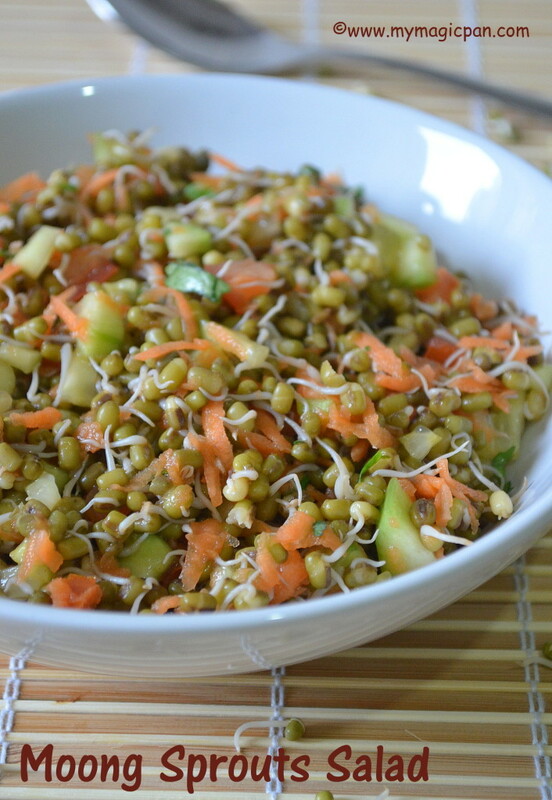 Healthy and yummy Sprouts Salad ready! Refresh your day and enjoy! I have steam cooked the sprouts until it was soft but not mushy. U can half-cook it if u want it to be crunchy. The reason for de-seeding the tomato is to prevent it from letting out water. 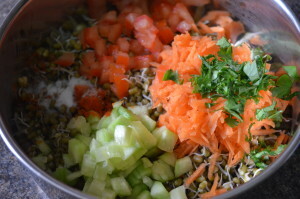 Make the Sprouts Salad just before serving. U can add juice from half a lemon. 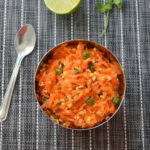 Chilli powder can be skipped or substituted with finely chopped green chillies. 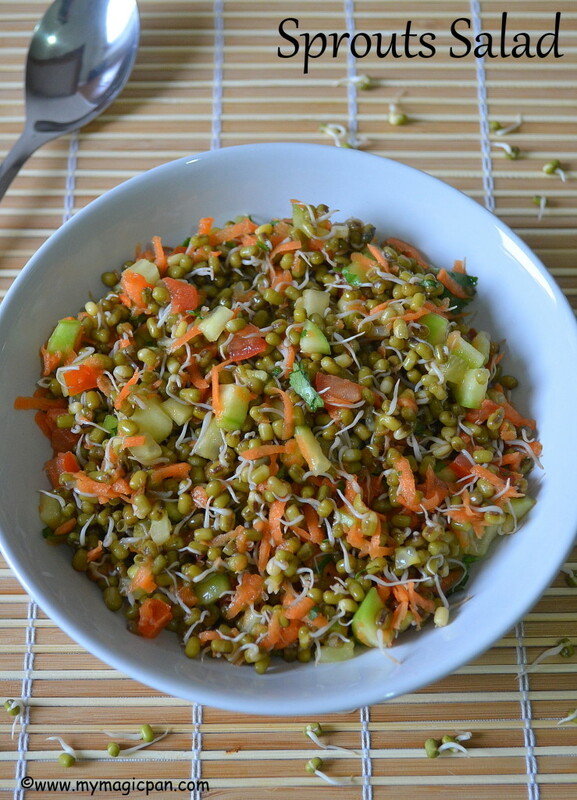 U can use store bought moong sprouts/mixed sprouts too. Very healthy share and I like the vibrant colour…. Super healthy, delicious and filler. I can have it for any meal of the yea.